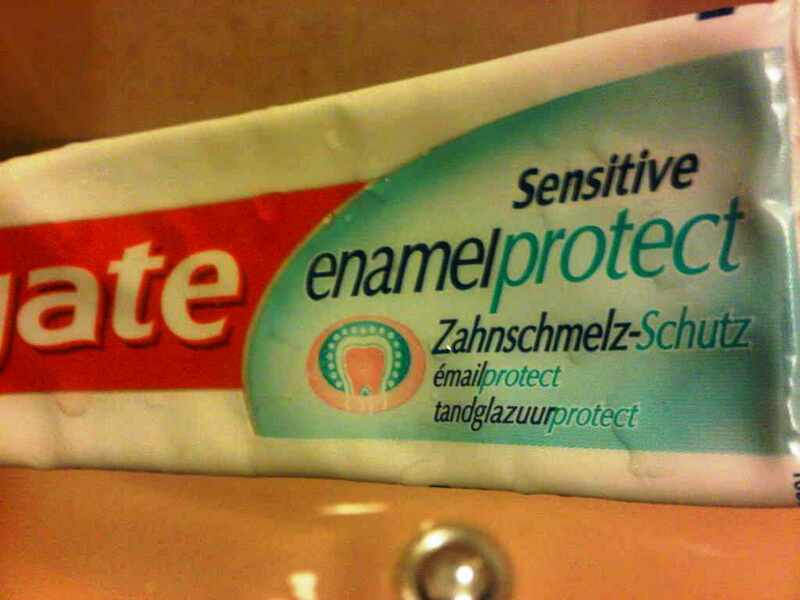 Whilst brushing my teeth early on Sunday morning, you wouldn’t believe how surprised I was to read the words ’email protect’ on my toothpaste. Wow I thought, Colgate not only cleans your teeth, but it protects your email too. Unsure as to how it would be possible for a toothpaste to do such a thing, I put the strange occurrence to my older and in some cases, wiser friend, who promptly told me how silly I was and that it was simply ‘enamel protection’ (as the larger title stated) in a foreign language. I’m the first to admit that I can be blonde at the best of times, but this was most definitely one of my more peroxide blonde moments, rather than my usual strawberry shade! Little to say, had I not been in the comfort of my bedroom, I would have turned the colour of santa’s famous red suit!